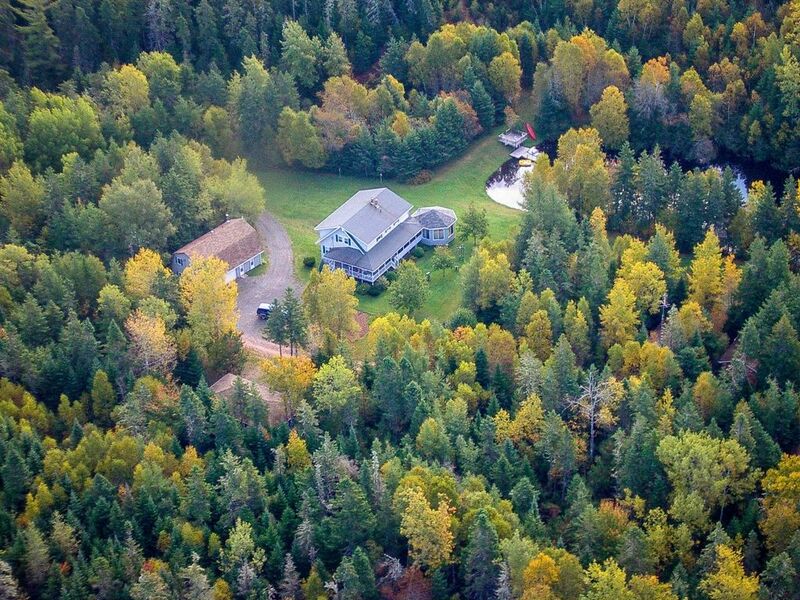 Forest and Stream Cottages is located in southeastern PEI, on Points East Coastal Drive, just outside Murray Harbour. Our property is 20 acres of natural beauty with walking trails and the only easy access to a trout filled 1 km long fresh water lake. Located south off highway 18 (Cape Bear Road) just west of Murray Harbour Village welcome sign. We are 20 minutes to Wood Island Ferry terminal and only 45 minutes to Charlottetown. Forest and Stream Cottages is an ideal family setting. Bed & Breakfast is also available at Country Charm B&B (same location, same hosts) Call or email for details. So peaceful and serene. Just what this busy mama needed on her holiday. The cottage was immaculate and the grounds were phenomenal. Highly recommend. We do offer discounted rates from time to time based on specific number of night stays and/or slower times periods. The above prices do not include taxes. We ask that our guests refrain from smoking in the cottages. Smoking is permitted on the screened porch. Small pets are permitted but guest are responsible for any damages or extra cleaning costs. No pets permitted in Guest House Forest and Stream Cottages is an ideal family setting. Bed &amp; Breakfast is also available at Country Charm B&amp;B (same location, same hosts) The above prices do not include taxes. We ask that our guests refrain from smoking in the cottages. Smoking is permitted on the screened porch. Small pets are permitted but guest are responsible for any damages or extra cleaning costs. No pets permitted in Guest House Forest and Stream Cottages is an ideal family setting. Bed &amp; Breakfast is also available at Country Charm B&amp;B (same location, same hosts) Call or email for details. www.forestandstreamcottages.com Extra person fee of 12 per person per night after the first 2 guests.